There are many applications for both Android and iPhone that lets you have a large stock of global music and play them online. Pandora is, beyond any doubt, the biggest online music streaming radio. If you want to play music online, you can do that as well with the help of Pandora music downloader. Read along to know how that’s done effectively. Founded in the year 2000, Pandora radio is one of the pioneer online music streaming and personalised music suggesting applications. It can perform both as an app or as a website. You can easily download the app from Google Play Store or Apple App Store. This application offers you personalized music stations where you can save songs, genres, artists of your choice and get more recommendations the longer you’ll be using the app. Pandora displays some occasional ads in the middle but you can dismiss them entirely by switching to the paid versions of Pandora premium and Pandora Plus. Today, there are many budding apps that has taken the framework of Pandora: Jango, Amazon Music, Soundcloud, Gaana, etc. Before we go into the details of how to download music on Pandora, let us make things simpler for you by briefing the techniques of using Pandora app for Android. How to Use Pandora on Android? 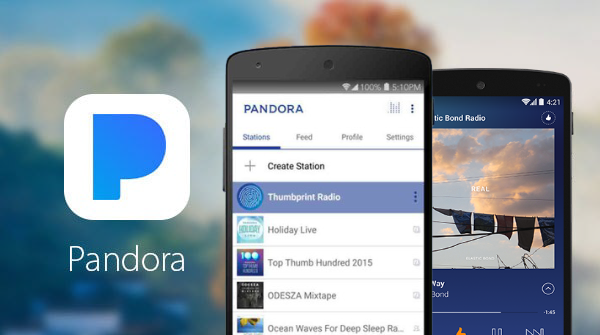 Open Google Play Store and search for the app that spells Pandora, or Pandora radio. You also have the option to get access to the Pandora website from any PC browsers or Android web browser apps, but we recommend using the application. There are more functions in the app than the website, and you can enjoy your music even when the browser server is down. The next step is to open a new account in Pandora. This is similar to any other web sign in process that you know. You have to enter your credentials, password and all’s set! If you are using Pandora for the first time, you will need to set a new station to collect all your favourite music at one place. You can name the station accordingly and add as many songs and albums as you want. Type the names of your favourite band, artist, movie or genre and browse across millions of exclusive song collection. Add them to your station or follow somebody else’s radio station if you like it. 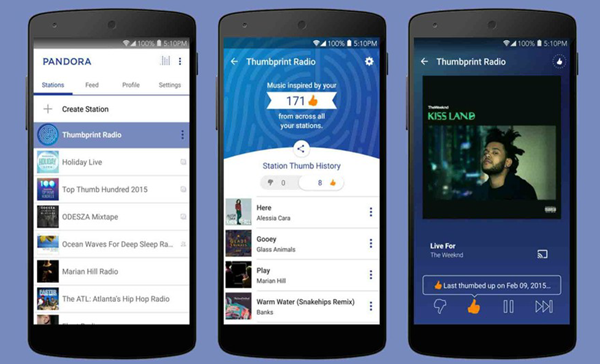 Pandora will start making personalized suggestions for you when you will “thumbs up” or “thumbs down” a song in particular. The app notes down your choices and adapts the suggested list of music accordingly. How to Download Music from Pandora? If you are wondering, “can we download music from Pandora?” Then here comes the most interesting part of the discussion. Most of us have this notion that one can only download a song from Pandora radio if we have paid for the subscription of a premium account or Pandora plus account. In fact, the two paid versions of Pandora will let you listen to the songs offline, only with its own set of restrictions. But there are some alternate ways to accomplish your wish easily. “Pandora Extensions” lets you download the songs as well as directly find them on YouTube. “Pandora Enhancer” carries out lots of functions that include, notifying whenever the app changes music, blocking the ads, etc. “Pandora Downloader” operates on a small Python Flask server to download the music for offline playing. You can find these extensions easily on the Chrome extension store from the home screen. Probably the best way to download music from the vast collection of Pandora radio is through the Tuneskit Audio Capture. This application works on any computer and it is solely designed to be highly compatible with online music radios like Pandora, Spotify, iTunes, etc. This application lets you download multiple tracks from Pandora and save it in your device in the common audio formats of .mp3, WAV, AAC, etc. It is also compatible with all the popular websites like Google Chrome, Firefox, Safari, etc. 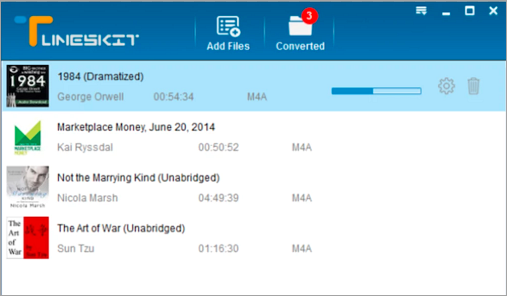 TunesKit audio capture is the best and most efficient Pandora music downloader that lets you download and edit audio tracks at a single click. Go for it! Tip: Also you can find how to record Android screen with audio here! How to Recover Deleted Music Audio Files from Android? Are you tired of your music files getting erased or corrupted on your Android device? We understand how terrible it feels to download the same track multiple times. It’s even worse when we lose a music tune that we have edited with lots of effort and time investment. We present a solution that can put an end to all your troubles. Jihosoft Android Data Recovery is a professional data recovery software for Android that can magically restore your deleted or lost contacts, photos, videos, audios, SMS, WhatsApp chat with a single click. Here’s the ultimate answer for the very common and equally troublesome phenomenon of accidental deletion of data, virus attack, unintentional formatting of the device. It supports all popular Android smartphone and tablet brands like Samsung, HTC, LG, Huawei, Motorola, Nexus, etc. The program will provide you with guidelines on how to use such a function on your phone if you are not acquainted with data recovery tools before.